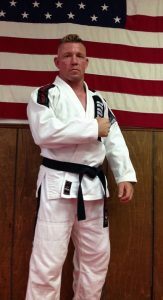 Over 7000 students have improved their self-esteem, coordination and balance at Annarino’s Martial Arts School, LLC since GrandMaster George Annarino, 10th degree Black Belt, began teaching at the Rockwell Union Hall in 1962 prior to opening the current 21st Street location in February 1983. Grandmaster Annarino’s interest in Karate started in the 1960’s with his instructors Bud Carlson and Don Madden. Annarino’s Martial Arts, LLC is the oldest and most comprehensive Karate school in Licking County. Grandmaster Annarino lives by the philosophy of “Be humble, treat others the way you would want to be treated”. What he loves the most about teaching is the way Martial Arts can change peoples lives. This entry was posted in Home on August 18, 2016 by Scott. This entry was posted in Home on August 8, 2016 by Scott. 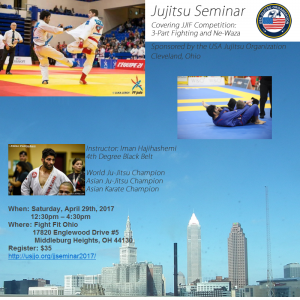 The USJJO announced today it has started the selection process to field a team to compete at the 2016 Ju Jitsu International Federation (JJIF) World Championships in Worclaw, Poland, November 25 – 27, 2016. The Duo System is a discipline where teams of two ju-jitsu athletes compete against each other. The teams demonstrate possible self-defense maneuvers against a variety of attacks. The attacks include strangulations, hit attacks, embraces, chokeholds and weapons. The USJJO is the National Governing Body of Ju-Jitsu in the USA and Official Full National Member to the JJIF. The JJIF represents Sports Ju-Jitsu worldwide and is the only Ju-Jitsu organization recognized by the General Association of International Sports Federations (GAISF) and the International World Games Association (IWGA). The JJIF provides the opportunity for elite athletes from their National Members to compete in the World Games, which are organized and governed by the IWGA under the patronage of the International Olympic Committee (IOC). Including the United States of America, the JJIF has 106 member countries on 4 continents. Referee/Volunteer meeting will be held on Thursday at 1:00 in room S214 at the Las Vegas Convention Center. The easiest way to get to the convention center from your hotel is to take the monorail. Brief Directions – From Paradise Road – Turn onto Sierra Vista Drive, drive about 1/2 mile and turn left on Swenson Street lot on right side across from entrance of hall. This entry was posted in Home on June 30, 2016 by Scott.